A lobbyist for Monsanto claimed that it was safe to drink “a quart” of the company’s Roundup pesticide, but pointedly refused to try even a sip when offered a glass during an interview with French TV before storming off the set. Patrick Moore told a Canal+ journalist that glyphosate, the active ingredient in the world’s most widely used weed killer, was not responsible for an increase in cancer rates in Argentina. “You can drink a whole quart of it and it won’t hurt you,” he insisted. Moore, a biologist, had been an environmentalist for Greenpeace before becoming a lobbyist for the nuclear, logging and genetic engineering industries. Last week, the World Health Organization’s International Agency for Research on Cancer released a report which found that glyphosate was “probably carcinogenic to humans,” citing three studies that suggest that exposure to the chemical could be responsible for increased risks for non-Hodgkin lymphoma. After the study’s publication, Monsanto has scrambled to get the WHO to retract its report. The company said Tuesday that the findings were biased and invalid. “We question the quality of the assessment," Philip Miller, Monsanto vice president of global regulatory affairs, said Tuesday in an interview. "The WHO has something to explain." 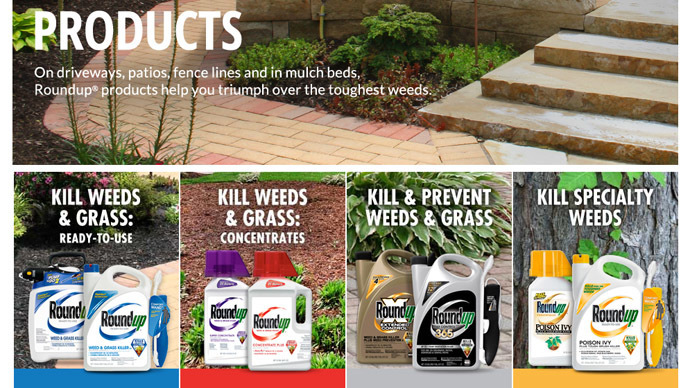 Monsanto first introduced glyphosate weed killers in 1974, but they gained popularity in the mid-1990s when the company began developing corn, soy and cotton seeds genetically engineered to resist the herbicide. According to a 2012 study by Washington State University the rise of “Roundup Ready” crops has resulted in a surge of glyphosate use.